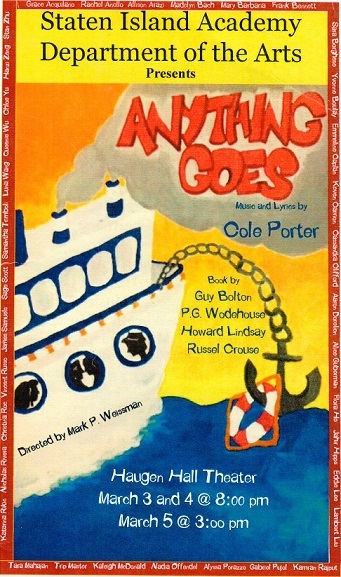 Kudos to Cast and Crew of Anything Goes! Rave review from this audience member for your performance of Anything Goes. Never knew we had so many talented tap dancers! What a delightfully delicious and “delovely” way to spend a chilly Sunday afternoon! of the musical production on a job well done! This entry was posted in The Arts and tagged anything goes, musical on March 6, 2017 by The Quill Editors.